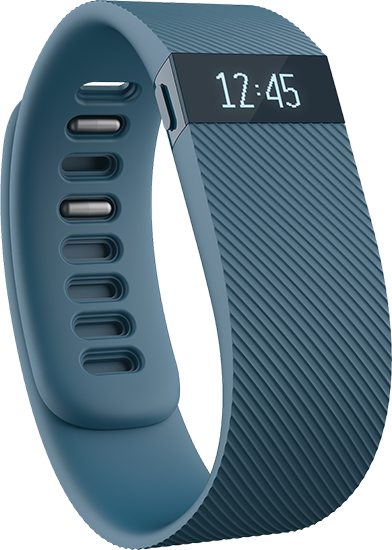 Back in May I purchased a Fitbit Charge. The inspiration came from observing my boss who has had one for a while. I am really loving it. It’s like having a friend who is interested in a running commentary on my personal fitness. I don’t think any human being could be as interested in my fitness as my Fitbit is. The Fitbit has provided sufficient inspiration that I have actually been tracking my food. I’ve done that in the past but never with the consistency I am now over time. It isn’t really even a pain in the neck. I like the feeling of control of really seeing what I eat and how much I move and the result of the interaction between those two things. Eventually I want to broaden my repertoire and incorporate more lifting and yoga back into my routine, but for the time being I am just getting used to moving more and consistently. I feel like a pigeon being fed corn pellets in that I am so motivated by Fitbit’s little badges and peer competition. The boost in accountability of having the constant feedback has gotten me tackling 50 flights of stairs at work or stepping in place in front of the TV rather than sitting after a long day at my desk and driving. If it works I am OK with it. This entry was posted in Related Musings and tagged Accountability, Fitbit. And, you are still thankful for Dunkin’ Donuts!